The freight carrier has embarked on a journey of spotting new market opportunities outside places that are already standing on the route map. “It’s our aim to come as close to our clients as possible,” explains Jorge Carretero, Senior Sales Manager Germany at LATAM Cargo on the new strategy. Concentrating the entire western and central European air freight business at LATAM Cargo’s two hubs in Amsterdam and Frankfurt, as done up till now, will soon be over. “We look increasingly at the periphery to get as near as possible to where our customers are located,” reasons señor Carretero. This does not mean that the superior role FRA and AMS play within the carrier’s intercontinental network will be diluted. 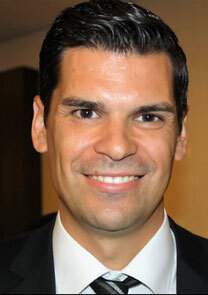 But by targeting promising local air freight markets like Munich or Cologne, to name just two, LATAM Cargo wants to extend its reach and penetrate new markets. The intended move of wing stretching and decentralizing processes is a result of the airline’s latest product initiative implemented last October in Europe and North America, putting clients up front, offering them specific attributes for every single shipment in combination with product options and quality promises. To fill these so far rather theoretical guidelines with real life, LATAM Cargo’s Frankfurt-based European headquarters decided to establish an acceptance place for export consignments in Munich. A first step, with another following suit, most likely Cologne. LATAM’s partner for doing the physical work at MUC, including security checks and documentation of freight consignments is Airtruck GmbH, a Munich Airport-based service provider that runs a 12,500 sqm warehouse in the cargo area. “We welcome LATAM Cargo as new client whom we will offer our tried and tested service packages, including trucking their consignments from Munich to Frankfurt,” states Airtruck’s Managing Director Peter Doden. His firm is in business since 1975 and has since developed into the largest private trucking and ground service provider at MUC Airport. According to Herr Doden, his company operates 3 to 4 trucks a day, covering the roughly 400 km route from Munich-Frankfurt in about 5 hours, depending on traffic flows. “On Fridays we sometimes have to deploy up to 15 trucks due to high volumes,” he states. 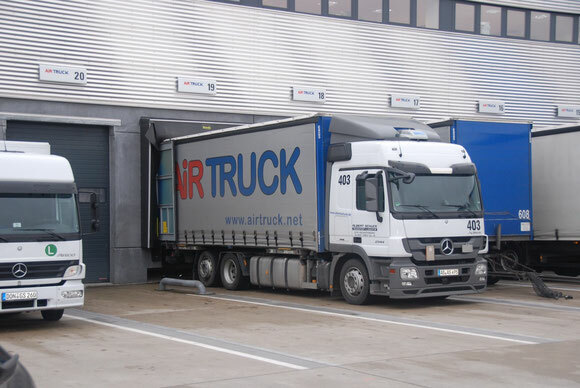 In addition to Frankfurt, Airtruck also operates vehicles to Amsterdam and Luxembourg on a daily basis. And they are not the only ones. But their example proves that there is sufficient freight for LATAM Cargo justifying their decision in favour of establishing an acceptance location at MUC, their first in Europe. According to Jorge, all products booked by clients under the Express, Standard or Flex label will be security checked, consolidated and wheeled to Frankfurt by Airtruck for uplift by LATAM operated freighters or in the holds of their passenger fleet. This includes dangerous goods but excludes pharma shipments for the time being. So the very few producers of pharmaceutical items in and around Munich will have no advantages resulting from LATAM Cargo’s upcoming collection point. In contrast, all other local shippers and forwarders utilizing the capacity of the Latin American carrier for having their goods flown to Brazil, Chile or other destination in South America will presumably benefit from LATAM Cargo’s reception point at Airtruck’s Munich warehouse.